Our favorite headphone for under $100! A very nice headphone for portable or home use that won't break the bank! Grado Labs delivers big with the SR125e. We like it with Classical music a LOT! The Grado 225e delivers a full, dynamic sound - they rock! The Grado GW100 brings the great Grado sound to Bluetooth wireless! 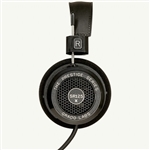 The Grado SR325e represents the top of the Grado Prestige line. The Limited Edition Grado GH3 is made form beautiful Norwegian Pine! The Grado GR10e is a very good IEM and one that Todd frequently uses in his portable rig. The RS2e sounds like a fined tuned instrument with its mahogany enclosure! The Grado Heritage Series GH4 is a limited edition headphone made with selected Norwegian Pine! Hear the magic of the Grado PS500e and hear your music like never before! The RS1e brings music to life! It like being there!!! 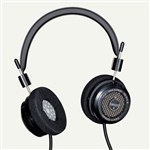 Grado makes a Statement with their GS1000e headphone! 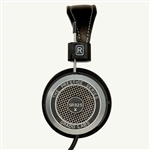 Our demo Grado GS2000e for sale! 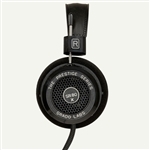 A great new headphone from Grado Labs - The Statement Series GS2000! The GS3000e sports a beautiful Cocobolo enclosure and beautiful sound! The PS2000e is the newest flagship headphone from Grado Labs - we like!! !